The constitutional capital of Bolivia, Sucre has a well-preserved historic center, with many buildings dating back to the city's founding in the 16th century. Do some cultural sightseeing at Museum of Indigenous Art ASUR and Cal Orck'o. 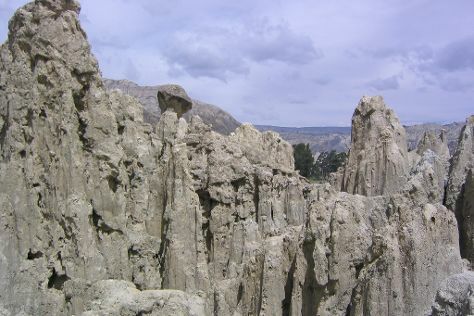 Take a break from the city and head to La Maja and Icla Canyon. There's still lots to do: get engrossed in the history at House of Liberty Museum - Casa de la Libertad, explore the different monuments and memorials at General Cemetery, take in the spiritual surroundings of La Recoleta, and admire the landmark architecture of Church of San Felipe Neri (Oratorio de San Felipe de Neri). For where to stay, photos, more things to do, and tourist information, go to the Sucre travel site . Brasilia, Brazil to Sucre is an approximately 11-hour flight. You can also do a combination of flight and bus; or drive. You'll gain 1 hour traveling from Brasilia to Sucre due to the time zone difference. Plan for slightly colder temperatures traveling from Brasilia in March, with highs in Sucre at 24°C and lows at 11°C. Finish up your sightseeing early on the 25th (Mon) so you can travel to Oruro. Located about halfway between La Paz and Sucre, the city of Oruro (also known as Uru Uru) sits at an elevation of 3,709 m (12,169 ft) above sea level. Kick off your visit on the 26th (Tue): make a trip to Las Mina de San Jose, make a trip to Plaza 10 de Febrero, take in the spiritual surroundings of Sanctuary of El Socavon, take in the architecture and atmosphere at Catedral de Oruro, then pause for some photo ops at Monumento a la Virgen del Socavon, and finally learn more about the world around you at Archaeological Museum. Get ready for a full day of sightseeing on the next day: pause for some serene contemplation at Iglesia San Gerardo. To find reviews, maps, traveler tips, and tourist information, you can read our Oruro travel route planning tool . You can fly from Sucre to Oruro in 2 hours. Other options are to drive; or take a bus. Expect a bit cooler evenings in Oruro when traveling from Sucre in March, with lows around 5°C. On the 27th (Wed), you'll have the morning to explore before heading off to Cochabamba. Dynamic and friendly, Cochabamba benefits from a mild climate largely responsible for its Mediterranean lifestyle and nickname the "City of Eternal Spring." An ideal alternative for anyone wishing to escape the chaos of South America's more popular destinations, Cochabamba vacations allow visitors to discover how regular Bolivians live on an everyday basis. Get in touch with nature at Tunari and andesXtremo. Palacio Portales and Sinagoga de Cochabamba are good opportunities to explore the local culture. Spend the 1st (Mon) exploring nature at Carrasco National Park. Next up on the itinerary: make a trip to El Cristo de la Concordia, take in the architecture and atmosphere at Catedral de San Sebastian, get engrossed in the history at Convento Museo Santa Teresa, and contemplate in the serene atmosphere at Convento de San Francisco. To see ratings, more things to do, traveler tips, and more tourist information, you can read our Cochabamba trip planner . Cochabamba is just a stone's throw from Oruro. Prepare for somewhat warmer weather when traveling from Oruro in March: high temperatures in Cochabamba hover around 32°C and lows are around 14°C. Wrap up your sightseeing on the 1st (Mon) to allow time to fly to Trinidad. Trinidad, officially La Santísima Trinidad, is a city in Bolivia, capital of the department of Beni. On the 2nd (Tue), look for all kinds of wild species at Barba Azul Reserve and then surround yourself with nature on a nature and wildlife tour. Here are some ideas for day two: contemplate the waterfront views at Suarez Lake and then look for all kinds of wild species at Bolivian Parrots Conservation. For reviews, traveler tips, and other tourist information, read our Trinidad online visit planner . You can fly from Cochabamba to Trinidad in an hour. Alternatively, you can drive; or take a bus. When traveling from Cochabamba in April, plan for a bit warmer days in Trinidad, with highs around 36°C, while nights are much hotter with lows around 25°C. Cap off your sightseeing on the 3rd (Wed) early enough to travel to Tiahuanaco. On the 4th (Thu), make a trip to Puerta del Sol, delve into the distant past at Ruinas de Tiwanaku, and then delve into the distant past at Puma Punku. To see traveler tips, other places to visit, maps, and other tourist information, go to the Tiahuanaco trip itinerary planning site . Getting from Trinidad to Tiahuanaco by combination of flight and bus takes about 3 hours. Other options: drive; or take a bus. In April, Tiahuanaco is much colder than Trinidad - with highs of 17°C and lows of 1°C. Finish up your sightseeing early on the 4th (Thu) so you can go by car to Copacabana. The town of Copacabana represents the largest Bolivian settlement on the shore of Lake Titicaca, the largest lake in the continent. Satisfy your inner culture vulture at Isla del Sol and Copacabana Cathedral. Visiting Lake Titicaca and Horca del Inca will get you outdoors. There's lots more to do: take in the spiritual surroundings of Cerro Calvario, make a trip to Avenida 6 de Agosto, see the interesting displays at Museo del Poncho, and step off the mainland to explore Isla De La Luna. For traveler tips, other places to visit, where to stay, and more tourist information, refer to the Copacabana tour itinerary tool . Traveling by car from Tiahuanaco to Copacabana takes 2 hours. Alternatively, you can take a bus. Cap off your sightseeing on the 7th (Sun) early enough to go by car to La Paz. Visiting Huayna Potosi and WMDR Yungas Road will get you outdoors. Get a sense of the local culture at Tiwanaku and Museum of Musical Instruments - Museo Instrumentos Musicales de Bolivia. 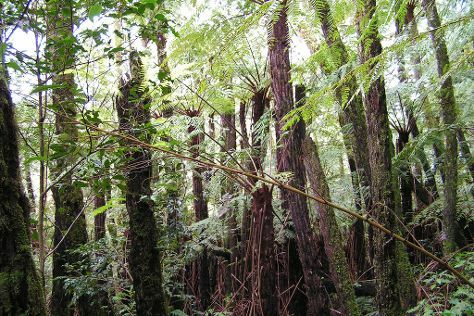 Spend the 13th (Sat) exploring nature at Cotapata National Park. The adventure continues: explore the striking landscape at Valley of the Moon, see the interesting displays at Museo de Metales Preciosos, hit the slopes at Chacaltaya Ski Resort, and have fun at Urban Rush Bolivia. To see reviews, ratings, where to stay, and more tourist information, you can read our La Paz trip planner. Traveling by car from Copacabana to La Paz takes 2.5 hours. Alternatively, you can take a bus. In April, daytime highs in La Paz are 17°C, while nighttime lows are 1°C. Wrap up your sightseeing on the 13th (Sat) early enough to travel to Potosi. One of the highest cities in the world at 4,090 m (13,420 ft), Potosi actually rose to fame for something below the ground. Escape the urban bustle at Laguna Hedionda and Ojo del Inca. Your cultural itinerary includes sights like Cerro Rico and Gruta De Las Galaxias. And it doesn't end there: see the interesting displays at Casa Nacional de la Moneda, go deep underground at Museo Historico Minero Diego Huallpa, contemplate the waterfront views at Laguna Negra, and see a world frozen in time at Pueblo Pulacayo. For traveler tips, other places to visit, maps, and other tourist information, use the Potosi trip itinerary site . You can fly from La Paz to Potosi in 3 hours. Other options are to do a combination of flight and bus; or drive. In April, daytime highs in Potosi are 19°C, while nighttime lows are 0°C. Finish your sightseeing early on the 16th (Tue) to allow enough time to drive to Uyuni. Emptiness surrounds the desert outpost of Uyuni, the gateway to the world's largest salt flats. Do some cultural sightseeing at Train Cemetery and Museo de la Llama y la Sal. 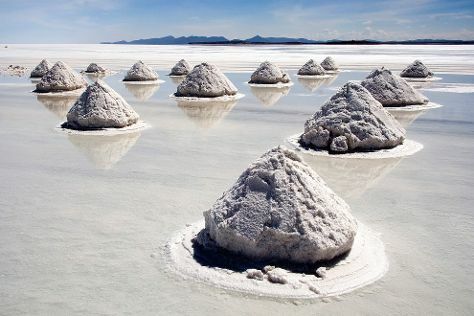 Step out of the city life by going to Salar de Uyuni and Nature & Wildlife Tours. There's still lots to do: head off the coast to Isla Incahuasi, see the interesting displays at Necropolis & Museum Kawsay Wasy, pause for some serene contemplation at Iglesia San Cristobal Lipez, and learn more about the world around you at Museo Arquecologia y Antropologico de los Andes Meridionales. For where to stay, more things to do, ratings, and other tourist information, go to the Uyuni online trip itinerary builder . Traveling by car from Potosi to Uyuni takes 4.5 hours. Alternatively, you can do a combination of bus and taxi. When traveling from Potosi in April, plan for a bit cooler days in Uyuni, with highs around 10°C, while nights are a bit warmer with lows around 9°C. Finish your sightseeing early on the 21st (Sun) to allow enough time to travel to Santa Cruz. Catedral de Santa Cruz and Parroquia de la Inmaculada Concepcion are good opportunities to explore the local culture. Visiting Amboro National Park and Che Guevara Trail will get you outdoors. Change things up with a short trip to El Fuerte de Samaipata in Samaipata (about 1h 45 min away). Spend the 26th (Fri) exploring nature at Kaa-Iya National Park. Next up on the itinerary: get engrossed in the history at Iglesias de la Chiquitania, take in the architecture and atmosphere at Parroquia La Santa Cruz, don't miss a visit to Plaza 24 de Septiembre, and explore the world behind art at Museo Artecampo. To find where to stay, traveler tips, ratings, and more tourist information, you can read our Santa Cruz trip itinerary app . Traveling by combination of taxi and flight from Uyuni to Santa Cruz takes 3.5 hours. Alternatively, you can drive; or do a combination of taxi and bus. Expect much hotter temperatures when traveling from Uyuni in April; daily highs in Santa Cruz reach 33°C and lows reach 24°C. Finish your sightseeing early on the 26th (Fri) to allow enough time to drive to Concepcion. Start off your visit on the 27th (Sat): admire the architecture and history at Jesuit Missions of the Chiquitos and then contemplate in the serene atmosphere at Jesuit Missions. To find traveler tips, photos, more things to do, and other tourist information, use the Concepcion trip itinerary planner. Getting from Santa Cruz to Concepcion by car takes about 4.5 hours. Other options: take a bus. In April, daytime highs in Concepcion are 34°C, while nighttime lows are 22°C. On the 27th (Sat), wrap the sightseeing up by early afternoon so you can drive to Santiago de Chiquitos. Start off your visit on the 28th (Sun): Head underground at Las Cuervas and then explore the striking landscape at El Arco. Get ready for a full day of sightseeing on the 29th (Mon): get great views at El Mirador and then get great views at Valle de Tucavaca. To see other places to visit, where to stay, traveler tips, and tourist information, use the Santiago de Chiquitos road trip planner . Drive from Concepcion to Santiago de Chiquitos in 9 hours. Alternatively, you can take a bus; or do a combination of bus and train. Expect a daytime high around 36°C in April, and nighttime lows around 22°C. Cap off your sightseeing on the 29th (Mon) early enough to travel back home. On the 30th (Tue), don't miss a visit to Plaza Mayor de Chacas and then appreciate the views at Cordillera Blanca Summit (K2 Peru Adventures). Get ready for a full day of sightseeing on the next day: get to know the fascinating history of Huascaran. For ratings, where to stay, reviews, and more tourist information, read our Huascaran National Park day trip planning website . Use the Route module to find suitable travel options from Santiago de Chiquitos to Huascaran National Park. The time zone difference moving from Bolivia Time (BOT) to Peru Time (PET) is minus 1 hour. Cap off your sightseeing on the 1st (Wed) early enough to travel to Lima. On the 2nd (Thu), get to know the fascinating history of Peruvian Soul, delve into the distant past at Huaca Pucllana, then take in the architecture and atmosphere at Iglesia y Convento de San Francisco, and finally contemplate in the serene atmosphere at San Pedro Church (Iglesia de San Pedro). Get ready for a full day of sightseeing on the next day: stroll through Playa Penascal, kick back and relax at Playa Kon-Tiki, and then get engrossed in the history at Museo Larco. To see ratings, other places to visit, maps, and more tourist information, use the Lima day trip app . Traveling by combination of taxi and flight from Huascaran National Park to Lima takes 4.5 hours. Alternatively, you can do a combination of car and flight; or drive. In May in Lima, expect temperatures between 26°C during the day and 21°C at night. Finish your sightseeing early on the 3rd (Fri) to allow enough time to travel to Cusco. Start off your visit on the 4th (Sat): contemplate the long history of Plaza de Armas, steep yourself in history at Sacsayhuaman, and then explore the ancient world of Centro Historico De Cusco. Keep things going the next day: trot along with a tour on horseback, pause for some serene contemplation at The Company of Jesus Church, then admire the masterpieces at Pre-Columbian Art Museum, and finally pause for some serene contemplation at Convento de Santo Domingo. For ratings, photos, other places to visit, and other tourist information, refer to the Cusco trip itinerary tool . Getting from Lima to Cusco by flight takes about 2 hours. Other options: drive; or take a bus. Plan for cooler nights when traveling from Lima in May since evenings lows in Cusco dip to 4°C. Wrap up your sightseeing on the 5th (Sun) early enough to travel to Machu Picchu. Kick off your visit on the 6th (Mon): admire the natural beauty at Los Jardines de Mandor, then explore the ancient world of Intipuncu, and then delve into the distant past at Santuario Historico de Machu Picchu. Keep things going the next day: get outside with Outdoor Activities, then don't miss a visit to Plaza Manco Capac, and then witness a stunning natural landmark at Hot Springs (Aguas Calientes). To find traveler tips, reviews, where to stay, and other tourist information, read Machu Picchu travel route planning site . Do a combination of bus and train from Cusco to Machu Picchu in 3.5 hours. Alternatively, you can take a train; or drive. Wrap up your sightseeing by early afternoon on the 8th (Wed) to allow enough time to travel back home.